Save Time and Money With Prime Time Shuttle! 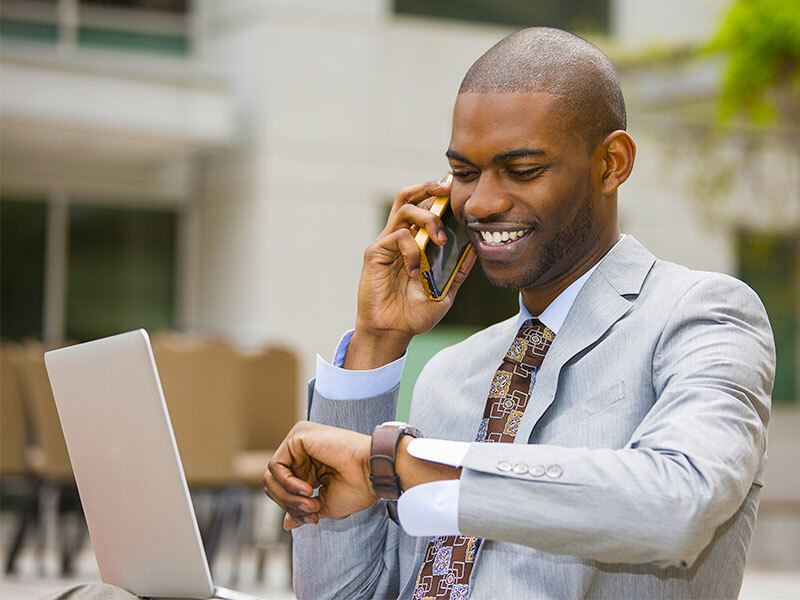 Take advantage of the many benefits of using our Prime Time Shuttle app now available for both iPhone and Android mobile phones. PRIME TIME SHUTTLE as a leader in the newly emerging rideshare industry, PRIME TIME SHUTTLE set the standard, as far as innovation and quality as more and more people discovered this new method to get to and from the airport or from one point to another. Today, in addition to continuing to set the highest quality standards, PRIME TIME SHUTTLE remains the only shuttle service in Southern California to offer an On-Time Guarantee. We’re on time or your ride is free! There is a shuttle service and then there is a good shuttle service. 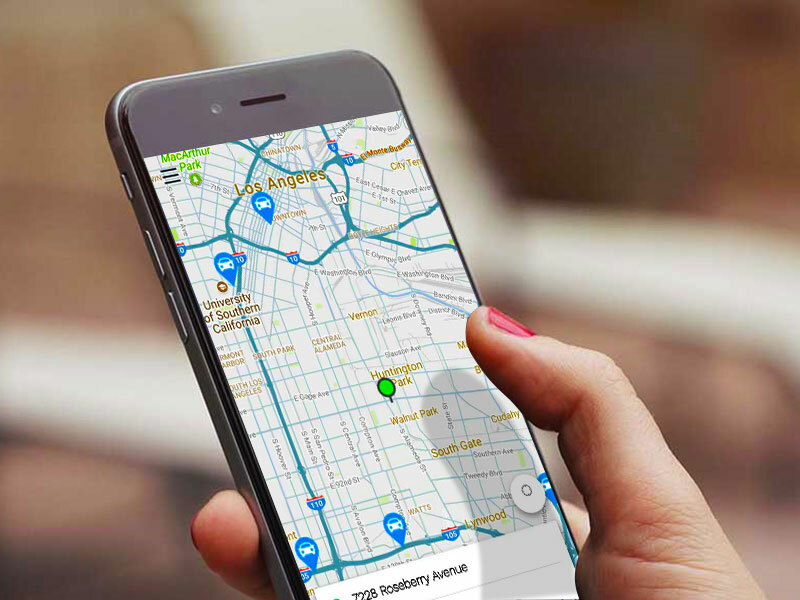 It’s easy to say that you provide a shuttle service, but without the state-of-the-art software, which Prime Time has developed over the years, providing service can become a nightmare experience. It’s this attention to detail that sets us apart from the other companies who often place cutting corners ahead of your comfort. Also, we have different services that suits your needs according to your preferences - time, luggage or style. 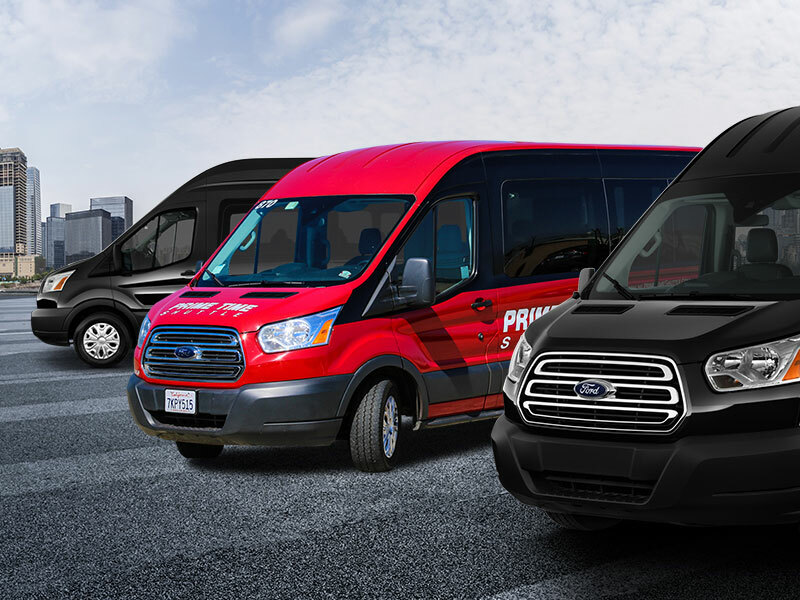 Not just Shuttle Vans, Prime Time has a wide range of service vehicles that offer you comfort, convenience and style while getting you where you need to go. The most economical way to travel to and from any destination. The shared-ride service matches you with others going the same way, so you travel at a reduced cost by sharing the cost of the trip. Get to the airport or anywhere around town with our Private Vehicle service! With this low cost option, you will be picked up and escorted straight to your destination. Our Luxury SUV service is a great way to be seen and impress without going overboard. SUVs are quickly becoming the preferred mode of business class transportation. How long will my driver will wait for me? Drivers will wait for 30 minutes past your pick-up time. After 30 minutes, we cannot guarantee your ride. Drivers will wait for 15 minutes past your pick-up time. After 15 minutes, without communication, the driver will leave. Shared Ride, Private Vehicle, Executive Sedan, Luxury SUV and/or Private Van welcomes the opportunity to serve our “junior” passengers. Children two (2) years of age and younger travel free with a paying adult. If making an online reservation, please indicate the number of children traveling so that we can set a seat aside, as California state law does not allow children to ride in the lap of an adult. No child under the age of 18 may ride without being accompanied by a parent or guardian.